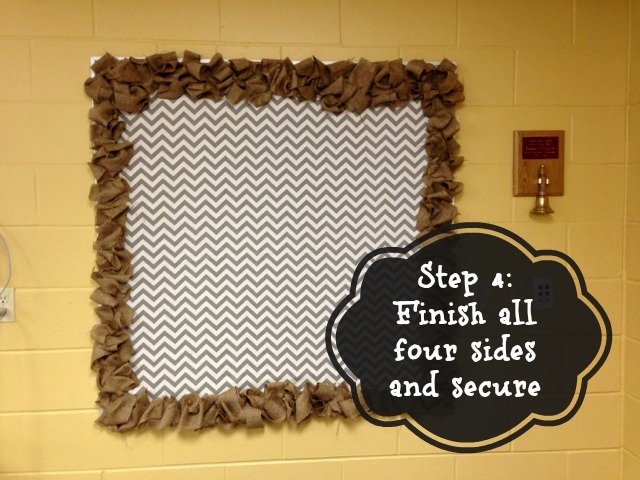 With the school year coming to a close, I wanted to post a little DIY project that I did last summer ~ a DIY Burlap Bulletin Board. My aunt is a teacher at my old high school and we wanted to vamp up her classroom. Our mascot is a Pirate and school colors are maroon and gold. The majority of the room is painted and she has a lot of adorable pirate decorations in her room but she wanted something a little more trendy and fun behind her desk. This project was so easy and fun and I love the way it turned out. 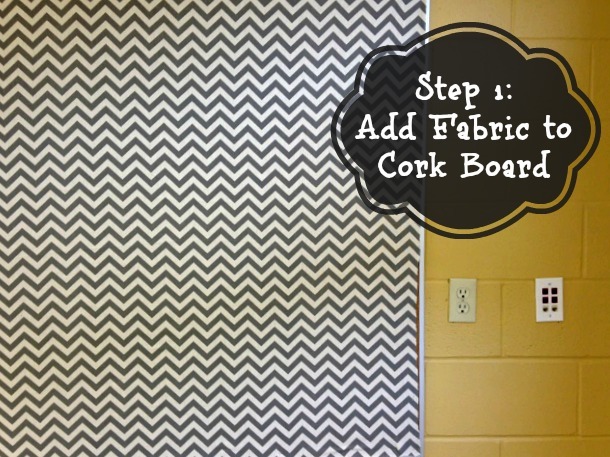 :::STEP 1::: Add your choice of fabric to the cork board. I LOVE the gray chevron print! It doesn’t have to be cut super even to fit the board because your burlap is going to run across the edges.I applied it using staples because the hot glue was melting right through it. I stapled just around the very edges and started up and down and left to right so it would be secured tightly. 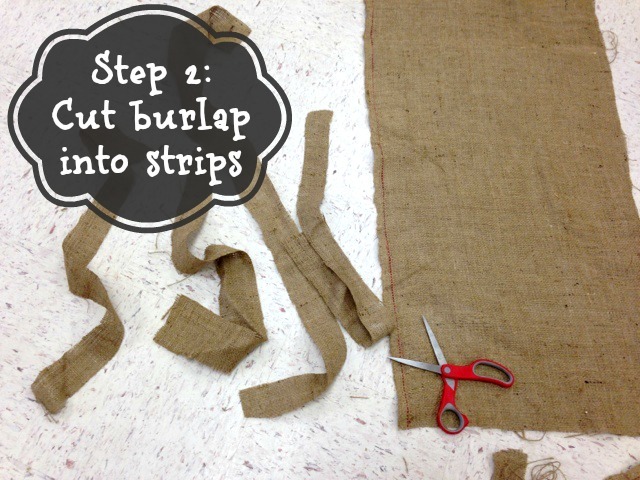 :::STEP 2::: Cut the burlap into strips. I cut them in all different sizes. Some were longer, some shorter, some wider, and some thinner. They don’t have to be the same which makes this project even easier. You will need a lot of these. 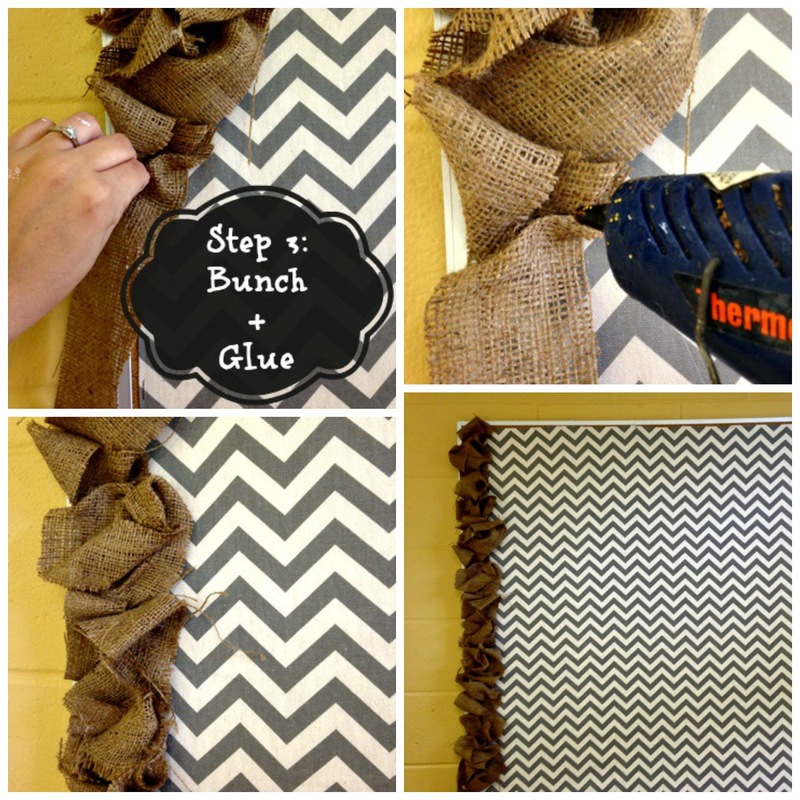 :::STEP 3::: Start in one corner and bunch some of your burlap together and hot glue it to the board. REMEMBER that the glue will seep through the burlap and burn you-I did that often. I didn’t bunch the same way every time so it wouldn’t have to be uniform. This also helps make it look fuller. 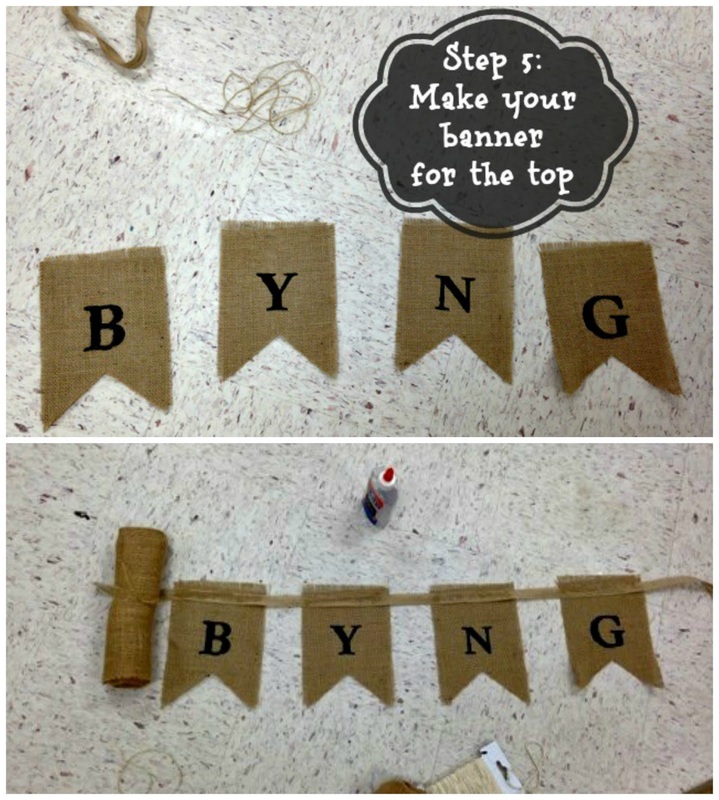 :::STEP 4::: Finish out your board by bunching and gluing burlap on all four sides. Try to make sure that one side isn’t fuller than the other. Mine above is that way a little at the top. Once I did that I went around each side, tugging at all areas to see if there was any loose pieces. If so, dab a little glue so the burlap stays in place. :::STEP 5::: This step is completely optional but I feel like it is what makes the board. I bought the bunting pre-cut, placed stencils over the tops and sponged on paint. (our high school is pronounced “bing” by the way) Glue them onto a thick piece of ribbon or sting and it is ready to be put onto the board. 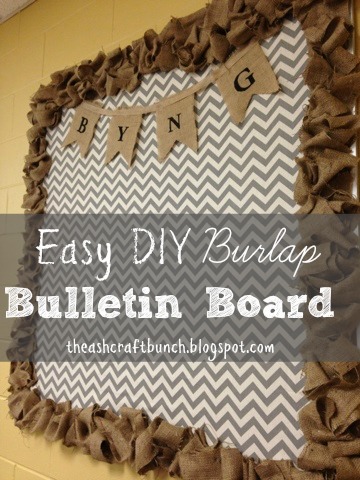 The post DIY Burlap Bulletin Board appeared first on Blissfully Ever After.